Finally, the long awaited approval from the President to sign the new national minimum wage has been done today. 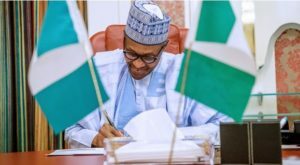 President Muhammadu Buhari has signed the new minimum wage bill. This implies that the minimum wage or salary for workers in Nigeria is now N30,000. 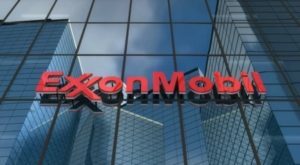 Apply for ExxonMobil Recruitment 2019/2020, Steps and Guidelines and how to apply for 4 positions in Exxon Mobil Latest Job Recruitment 2019 – This article covers steps on how to apply for ExxonMobil Job Recruitment 2019 for any of the four available positions which include: ExxonMobil Recruitment for Wells Operations Supervisor (Drilling Supervisor), Entry-level Apprentice Program 2019, Geoscientist (Graduate & Exp.) and Geophysical Operations Specialist. Steps and guidelines on how to apply for any of the positions in Exxon Mobil Recruitment 2019 are well stated clearly here. Those of you that have written JAMB Exams are now worried asking of their JAMB Results to enable them see their scores. Definitely you must see your result as well as your Score. The link for checking of result and printing is available. 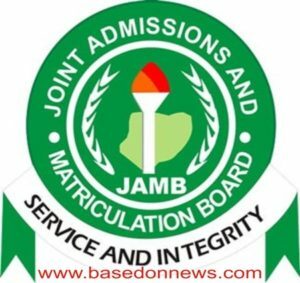 The step by step guide on how to check your JAMB UTME result online are well stated below. Closing Date or Deadline for Registering or Applying for Nigeria Customs Service (NCS) Recruitment 2019, When the List of Shortlisted Candidates for NCS will be released – The closing date for Nigeria Customs Service has been fixed by The Nigerian Customs Service (NCS) Boss, Acting Deputy Comptroller-General of Customs in charge of Human Resources Department, Umar Sanusi. Therefore, if you are yet to register for Nigeria Customs Service (NCS) Recruitment 2019, try to do so before it closes and if you are yet to complete your registration, do that now as time waits for no one. 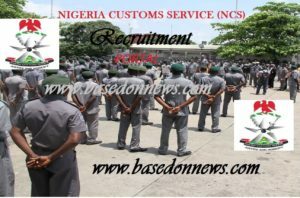 Step by Step Guide on How to Apply for Nigeria Customs Service 2019/2020, Portal for Nigeria Customs Service (NCS) 2019 Job Recruitment, Guidelines on How to Download Form and Proceed with your application – This article will give you step by step guide on how to apply for Nigeria Customs Service (NCS) Job Recruitment 2019 for Superintendent, Inspectorate and Assistant Cadre. How to retrieve your application password for NCS 2019 and how to get verification link. 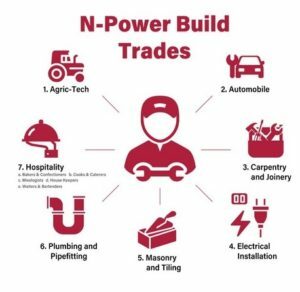 Npower Build Trades Recruitment 2019 Form Portal, When will the registration for N-Power Build Trades start – Truly, FG is really working hard to make sure every unemployed citizen of Nigeria is really employed. Since, Npower has been into existence, it has helped lots of people who are beneficiaries in so many ways. The additional N30,000 is really something to be grateful for when compared to unemployed ones. www.vacancy.customs.gov.ng, Steps on How to Apply for Nigeria Customs Service (NCS) 2019/2020 Recruitment – It is true that Nigeria Customs are now recruiting candidates or applicants both Graduates and non-Graduates into various positions as enlisted below. To apply, kindly use the steps or guide below to apply successfully. NCS recruitment 2019/2020, How to Apply for Nigeria Customs Service (NCS) 2019 Job Recruitment – Officially, the form for Nigeria Customs Service Recruitment is out for registration. All that wants to apply should use the links to apply successfully via www.vacancy.customs.gov.ng. Try reading through to enable you apply successfully. Entry Level Recruitment 2019 at Polaris Bank Aptitude Test Exam Date, Time and Venue, Full List of Successful Shortlisted Candidates checking portal – This update is to inform you of Entry Level Recruitment 2019 at Polaris Bank Aptitude Test Exam, How to write the Polaris Bank Aptitude Test Exam, Date, Time and Venue for Entry Level Recruitment Aptitude Test 2019 are all contained in this article below. Polaris Bank 2019 Recruitment for Graduate Entry Level Application Form, How to Apply for Entry Level Recruitment at Polaris Bank, How to write Polaris Bank Aptitude Test Exam Date, Venue and Time, when will the list of shortlisted candidates will be released – Officially, Polaris Bank is currently recruiting all interested and qualified candidates who may wish to apply for the latest recruitment. Polaris Bank is searching for passionate, result-oriented candidates that will be willing to work across their over 300 branches within Nigeria to help in building a banking career in the capacity via the position Entry Level Recruitment 2019 at Polaris Bank Nationwide. Thus, the recruitment in Polaris Bank is massive, I would urge everyone that is willing to apply as fast as possible as the closing date is very near.